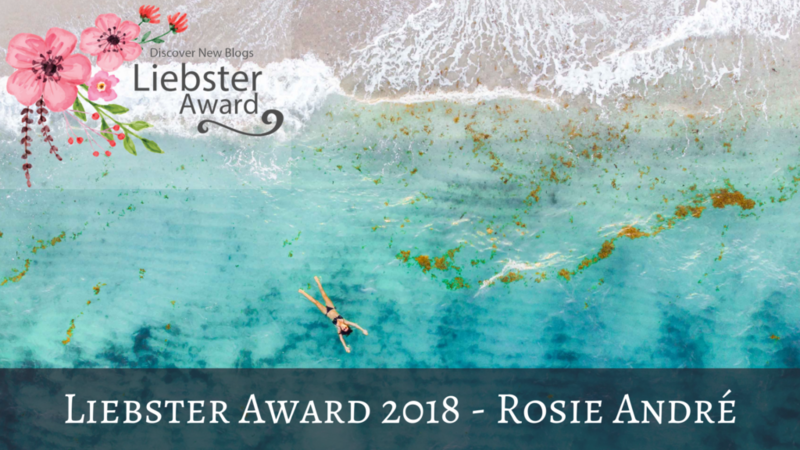 I feel so special and privileged to have been nominated for the Liebster Award 2018. 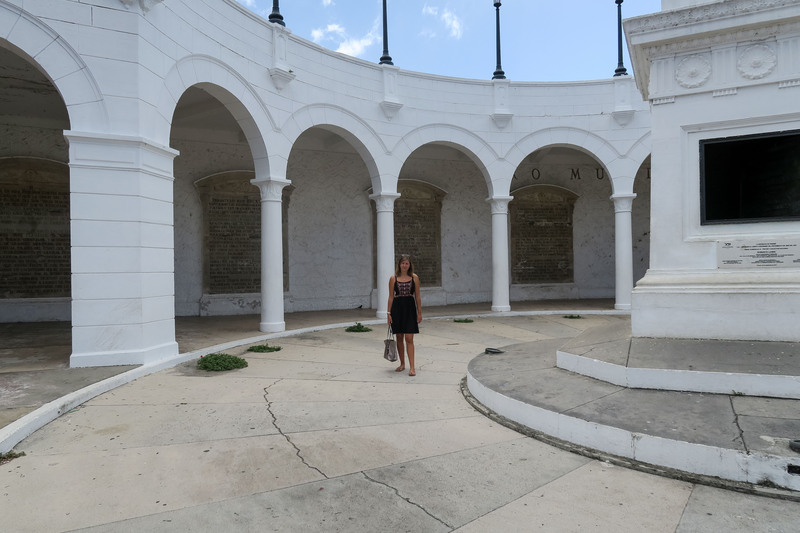 I never thought that anyone would ever read my travel blog, but it turns I was wrong! It started as a blog for myself, to get me through a really tough time in my life. To give me purpose and a reason to get out of bed in the mornings. And now I have been nominated for an award! I got nominated by fellow blogger WANDER BIRD who is smashing it at the moment! She has been nominated for several awards and is in the top 100 Indian travel bloggers for 2018! Thank you so much for the nomination, it really means a lot to me! 1. What inspired you to decide the name of your blog? Explain the significance of your blog name. My blog name is just my name. I spent some time trying to think of something fun & catchy, but realised that a lot of travel bloggers have similar names with the same few key words in there such as wander, passports, travel, explore etc. I didn't want my blog name to be just another travel blogger name, so kept it simple and just used my name! 2. When did you start travel blogging? Describe your journey so far. I started travel blogging in April 2017. I was going through hell in my personal life and needed a distraction. Something to keep me busy, something to keep me sane but also something to get me out of the house. I was off work for around 8 months and used this time to visit local places in the South of France, take photographs while there, then come home and write all about it. It was an escape which quickly became a hobby! I love travelling and sharing my experiences & tips with fellow travellers! 3. Which is your most favourite place that you visited so far and why? I think my 3 weeks in Indonesia has been my favourite. I went there with my husband for our honeymoon and it was just magical. We saw orang-utans in the wild, swam with manta rays, visited rice paddies & temples and climbed 2 volcanoes in 2 days. It was everything and more! 4. Which is your most preferred social media platform to engage with fellow bloggers and why? I love Instagram & Youtube! I am a photographer so enjoy the visual aspect of Instagram but I also love the story telling aspect of Youtube. I love being able to visit different places all around the world with different people, all from the comfort of my sofa. Both of these social media platforms inspire me to travel more, take more photographs and share more stories with the world. 5. Which is the most vivid memory of all your journeys so far? I think climbing Mount Ijen in Indonesia. I haven't written about it yet but I really need to. We started the hike at midnight and spent a couple of hours walking up the outside of the acidic volcano in the pitch black. We then walked down into the volcano and saw the Indonesian workers mining sulphur (which is then bought by the Chinese for medicines & to bleach sugar!). It was shocking to me to see a Mars like landscape and to see people working in such tough conditions for very little money. This hike will forever be in my memory for good & bad reasons. 6. What would you categorise yourself as – travel writer, blogger or influencer? I would say I am a travel blogger. I don't enjoy reading and as such am not very good at writing. I write things how they were, I can't do lots of descriptive writing that I feel is necessary to call yourself a writer. And I wouldn't consider myself an influencer as I don't have a large following of people to influence. I started this blog for me, and it will continue in the same way. If I inspire other people to travel then that's great, but if not, that's fine too. I wrote all of these blog posts for my own enjoyment, not to influence anyone into doing anything. 7. Describe your ideal outfit for a road trip. What would you prefer the most and why? My ideal outfit when travelling needs to be comfortable. I love fashion but if I am spending 12 hours on a bus, I want to be comfy. I opt for comfy trainers (with socks to keep my toes warm! ), linen trousers, basic tee & a hoody. 8. What are the top 5 travel destinations on your bucket list and why? My top 5 destinations would be India for the culture, temples, food and traditions. Morocco for the Sahara desert, souks, architecture & clothing. Greece for the sunsets, islands, beaches and food. Japan for the sushi, shops, culture, landscapes and traditions. And Cuba for the history, architecture, food, culture and mojitos! 9. What would you prefer best – reading books or watching movies? Write about your favourite book/movie and mention why it’s your favourite. As I said before, I don't enjoy reading (although I have recently got into audio books - does that count? ), so I much prefer movies. I am a typical girl and love chic flicks such as SATC, Bridget Jones, Eat Pray Love, The Notebook etc. But I also love documentaries and in particular, any that include David Attenborough! Isn't his voice amazing?! 10. What is your long-term goal for your blog? My long term goal is to carry on travelling and blogging. I really wish I had started this back in 2010 when I went off travelling on my own for the first time. So since I didn't start then, I have a lot of catching up to do! I don't really care about fame & fortune. I just like to document where I visit and mention the good & bad things about each place as to help other people. I don't have a specific goal in mind, just to carry on for as long as I enjoy doing it! 1. If you could only live in 1 city for the rest of your life, where would you choose and why? 2. Which country surpassed all of your expectations and why? 3. What do you love most about your home country? 4. Are you a sunrise or sunset kinda person? And where were the best ones you've ever seen? 5. What has been the best thing you have learnt from travelling? 6. Would you rather sky dive or scuba dive? 7. Which city or country is the most over-rated place you have visited? 8. What advice would you give to anyone wanting to start a travel blog? 9. If you could move to Mars (knowing that you couldn't return), would you go? 10. Would you rather travel everyday forever or never be able to travel again? 1. The Ginger Wanderlust - Ellie is a half French, half Welsh travel blogger and photographer currently living in Sydney, Australia. Ellie shares her travel adventures and tips on photography & blogging to help any other creative travellers wanting to do the same. 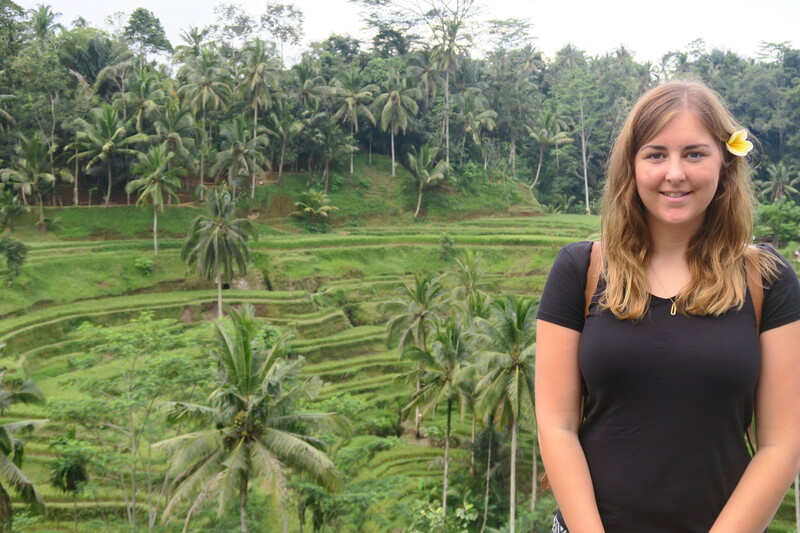 I particularly liked her 3 day guide to Ubud amongst other great ones! 2. That Adventure Life - Is made up of husband & wife, Dustin & Vy. They are a travel couple who love kayaking, photography & cooking. Their blog talks about recommendations, equipment and their travel stories along the way including this one about the Instagram famous "Stairway to Heaven". 3. Destinationless Travel - This is another travel couple who describe themselves as "budget conscious, beer-drinking, culturally curious, thrill-seeking travelers". They have travelled through South, Central and North America, Asia & Australasia sharing their stories along the way, including being robbed at gun point in Brazil! 4. Go 4 Explore - Jony is a travel blogger, vlogger & photographer who shares his experiences on his blog & YouTube channel. He talks about travel tech, hotel reviews, food, travel tips and of course shares his own stories including collecting 700kg of trash from the Mount Everest summit! The Liebster Award is awarded by bloggers to bloggers with a fresh perspective, to recognise their achievements and offer support. It feels so nice to be a part of such a supportive community! Nominate blogs with a fresh perspective and great content, to receive the award and write them 10 new questions. List the rules and display the Liebster Award logo in your post and/or on your blog. I hope you enjoy this blog post and seeing other people's blogs. Keep on exploring & travelling! This is a lovely post, Rosie! I loved every bit of it. There’s a subtle hint of honesty and sincerity in each answer that you wrote. And I have always loved that about your blog. A well-deserved award, indeed!